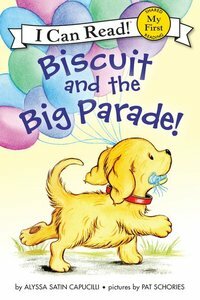 It's time for the big parade, Biscuit! The parade is here, and Biscuit can't wait to see the fire trucks, jugglers, and even clowns! But when will it be his turn to march? The sweet little yellow puppy proves that with a little might and a lot of heart, any dream--big or small--can come true. When a package arrives on Mrs. Connor's desk, everyone is eager to find out what's in it. Mrs. Connor hints that it's something that changes from one thing to another. The children soon discover that it's not a monster or a superhero, but a jar with five caterpillars. The class is going to learn about the life cycle of butterflies! They patiently watch as the caterpillars eat and eat and grow and grow, become chrysalises, and then emerge as beautiful butterflies. And all the children agree that butterflies are "even better than a superhero." A level 2 early reader based on Curious George, the Emmy Award-winning PBS TV show, all about surprises, helping friends, and--of course--celebrating mothers! It's Mother's Day and George's friends Marco and Cecilia want to surprise their mami with a party! George is excited to help Marco make a piñata and other festive decorations while Cecilia and the Man with the Yellow Hat prepare delicious treats. But when Marco and Cecilia see their mami arriving early, they have to scramble to get ready. Will the crew be able to pull the party together in time to make this one Mother's Day she'll never forget? It's all about teamwork in this level 2 early reader based on the Emmy Award-winning PBS TV show. This book includes a bonus activity with instructions for making your own paper flowers to give to mom! 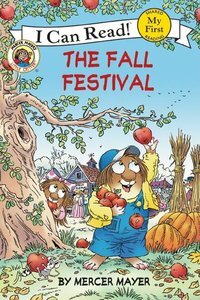 Join Little Critter(R) and his family on their exciting road trip to the Fall Festival! From apple picking to hayrides, discover how fun the harvest season can be. Join Mercer Mayer's classic and beloved character, Little Critter(R), in this My First I Can Read storybook! Little Critter discovers a lost baby bird in his backyard, and he and his family all pitch in to take care of it until it can fly on its own. Little Critter's love and patience is rewarded when he gets a special springtime surprise. I Can Read Books are designed to encourage a love of reading. 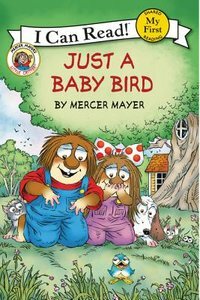 Little Critter: Just a Baby Bird is a My First I Can Read book, and with basic language, word repetition, and great illustrations, it's perfect for shared reading with a child. Look out for the Lorax! Dr. Seuss's lovable grump makes his Step into Reading debut in this wonderland adventure through hills of green where the Truffula trees sway. Through easy words and simple sentences, the youngest readers will discover the Lorax's paradise, from singing Swomee-Swans to playful Bar-ba-loots. 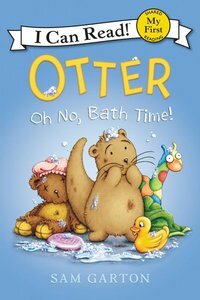 It's bath time for Otter, the irrepressible picture book character from I Am Otter, Otter in Space, and Otter Loves Halloween! Sure to be adored by fans of Llama Llama. Otter: Oh No, Bath Time! 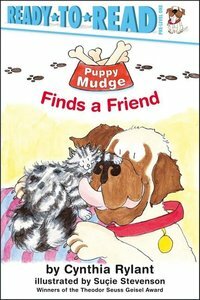 is a My First I Can Read book, which means it's perfect for shared reading with a child. 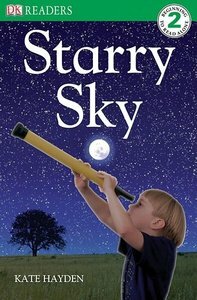 Learn fascinating information about stars with this fact-filled children's book that includes stunning photographs. Find out how a star is born and how it dies. Watch the stunning sky as it changes during the day. Discover the names of constellations with an exclusive telescope view of your favorites! Explore the vastness of outer space and distant galaxies! All you need is a little imagination. Stunning photographs combine with lively illustrations and engaging, age-appropriate stories in DK Readers, a multilevel reading program guaranteed to capture children's interest while developing their reading skills and general knowledge. With DK Readers, children will learn to read--then read to learn! From wasp's nests to webs, mole holes, termite mounds, and much more, Kingfisher Readers L2: Where Animals Live by Brenda Stones and Thea Feldman examines the many habitats and strategies animals use when making their homes. Familiar animals like foxes and swallows are joined by more exotic species like chimpanzees, polar bears, and penguins. Challenging vocabulary is highlighted throughout--burrow, den, migration--and the art and text weave together seamlessly to help readers put the words in context and develop increased confidence in their reading skills.